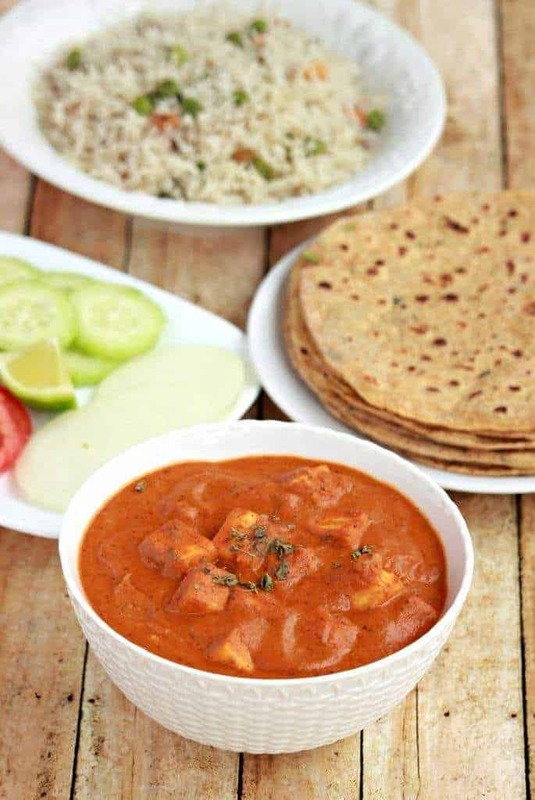 Back in my school and college days, whenever we go to eat out my choice of side dish to order would be Restaurant Style Paneer Butter Masala . There is just something in that dish that is captivating to many people. The inspiration to this recipe is from my fellow blogger, PJ’s blog. I have made changes to the recipe to suit our need. 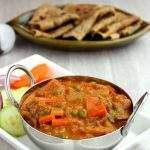 To this date, when I go to restaurant in India, this is one dish that I would order for sure. My boys have taken on my flavor profile and they love this as well. 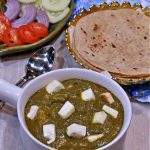 The dish though uses just cubed paneer pieces without frying. I am not a big fan of using the paneer as is, so I shallow fried it. I also place the fried paneer pieces in hot water unti ready to use. 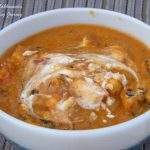 This keeps the paneer very soft and helps it to absorb mre flavor from the gravy. Frying the onion and the tomatoes and then grinding it into a paste gives the gravy a very smooth texture. I have skipped using cream in the recipe as I used cashews when grinding my masala paste. This gave a lot of creaminess and richness to the gravy that I did not need any more. 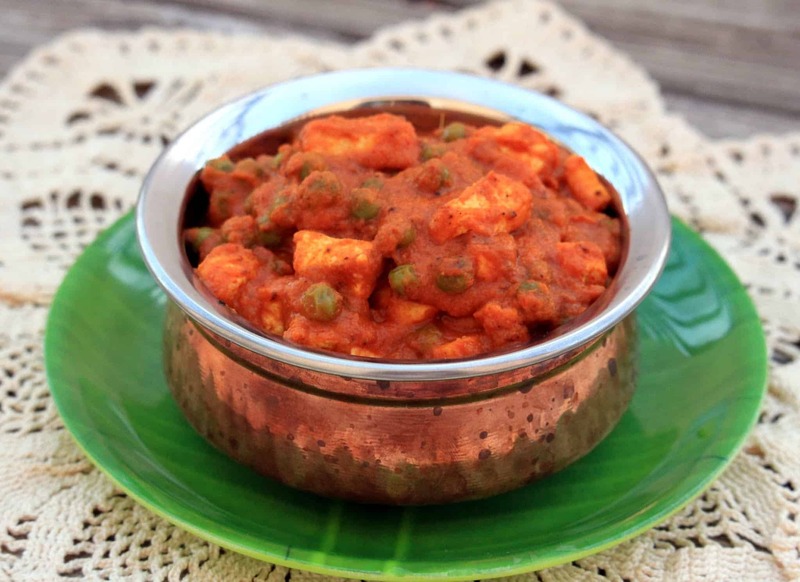 Restaurant Style Paneer Butter Masala is a very famous and kid friendly side dish that is delicious and creamy. Heat a wide pan and add about 1 tbsp or butter or oil. Cube the paneer into ½ inch pieces and shallow fry them. 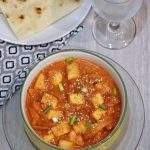 Drain the paneer into a bowl with hot water and let them sit in the water until ready to use. This keeps the paneer soft. In the same pan add a tablespoon of oil . Fry the cloves and cinnamon for a minute until aromatic. Now add the chopped onions and saute them until translucent. Now add the ginger and the garlic pieces and fry for couple of minutes. Add the chopped tomatoes along with cashew nut and saute them until the tomatoes are mushy. Transfer this mixture to a blender jar and once cooled completely, grind it into a smooth paste. Makes sure you let the mixture cool down before grinding or else the whole kitchen will be a mess. I have been there and done that and trust me it is not fun!! In the same pan, heat the remaining oil/butter and add the bay leaf. Next add the ground masala and let it cook in low/medium heat until aromatic and the oil separates from the mixture. This takes about 10 minutes. You might want to cover the pan when doing this as the masala tends to splatter. Add the dry spice powders; turmeric powder, red chili powder, coriander powder and salt and let it cook for 5 more minutes. Drain the paneer and add it to the gravy. Add water as needed to adjust the consistency. At this stage, crush some kasoori methi and add it to the subzi. You could add cream if you like and then let it simmer for about 5 minutes. I skipped the cream as the cashews gave the subzi enough creaminess. 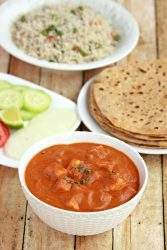 I served my Restaurant Style Paneer Butter Masala with Avocado Paratha and Mutter Pulao. Yes I agree this is one dish that sells most in restaurants . While we had the Indian restaurant this was sold the most . You have got the perfect colour and texture all you need a swirl of cream . Wow, it looks so inviting ,Sandhya. I love the color you got on that curry and i’m sure that it would be finger licking delicious!!! I too prefer cashews in the curry over the cream. Love this anytime. But I have never tried shallow frying the paneer. 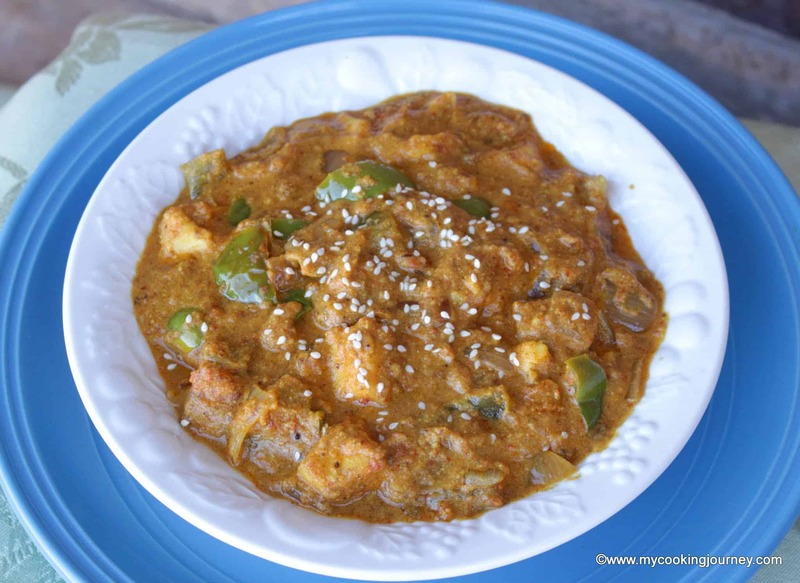 I soak the paneer cubes in hot water until the gravy is ready and then drain the paneer and dunk them in the gravy. 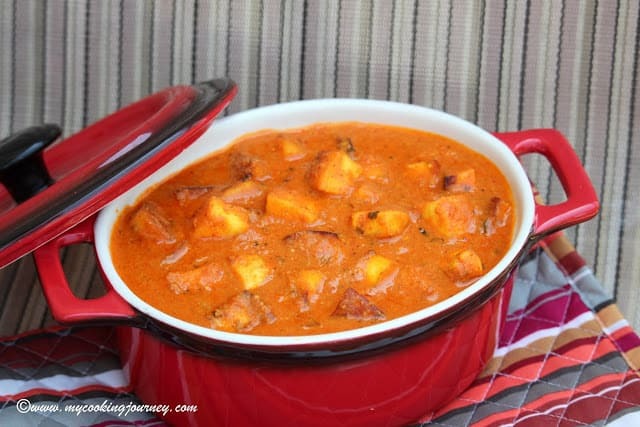 I love the rich and inviting looking gravy of this paneer butter masala. It looks so delicious and tempting. Gorgeous color. Looks so creamy and delicious. I love how sinful these pictures look Sandhya! I agree, this use to be even our go to curry at restaurants when growing up. This is still our favorite though we never order it. The restaurant version is a bit sweet for the kids taste! Yes, when we can make it at home, why order this right!! 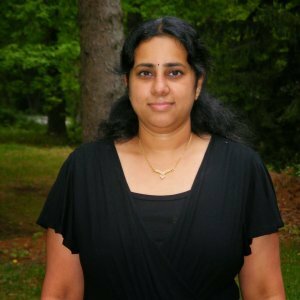 Your pics look so delicious and thanks for the mention Sandhya. 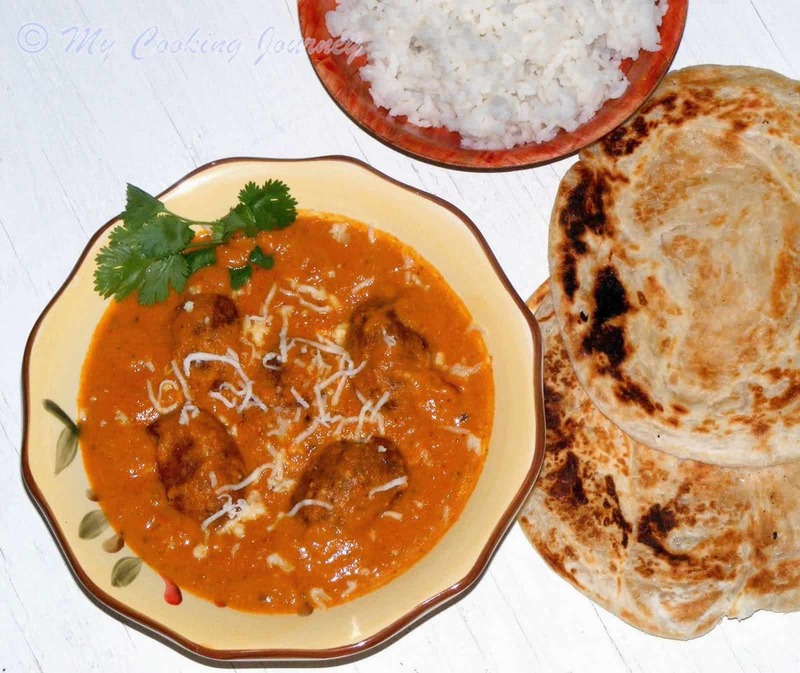 Paneer butter masala looks so delicious, NIce clicks. 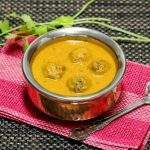 Wish i get that bowl rite from my lappy screen, such a delightful paneer butter masala and the masala colour looks absolutely stunning. Lipsmacking here. Love the color of the gravy, perfect as said restaurant style. Nice recipe. Now is the lunch time and I’m reading this post. What could be expected if such a delicious dish is in front of you….drool, drool, drool. The gravy is so creamy and thick. I love paneer butter masala. 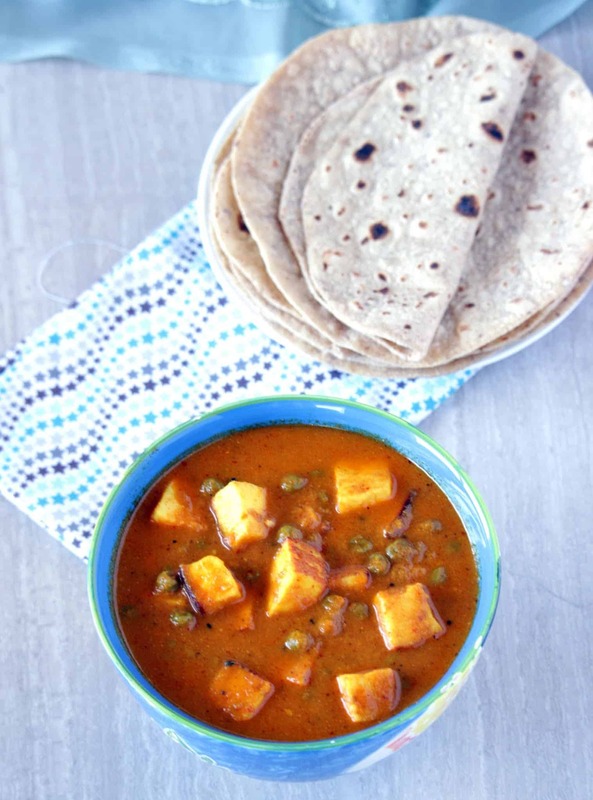 I love this dish – havent had paneer in a while You are making me want to dish this up soon!